Very snappy action for a 40 dollar knife. Mine came in perfect condition, no blade play and centered. Not overly sharp but I have come to expect that from the factory. Pleasantly surprised enough to immediately order the XHP version. I bought this knife a few years ago and put it in my display case with a collection of other automatics. After carrying an OTF-DA for a few years and playing around with it several times, I decided to change things up and have a go at it as my new EDC knife and buy another for my case. 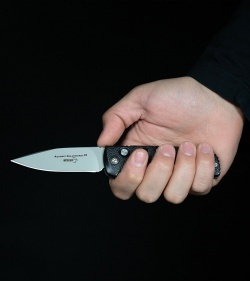 I've previously researched this knife and found great reviews on it. 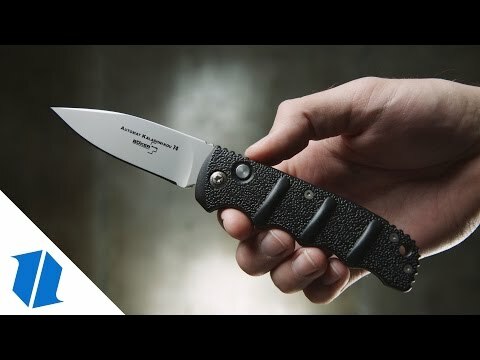 I've carried the Boker Magnum with the "tanto" blade and found it to be a very reliable and tough, so I reasoned this knife would perform equally as well. 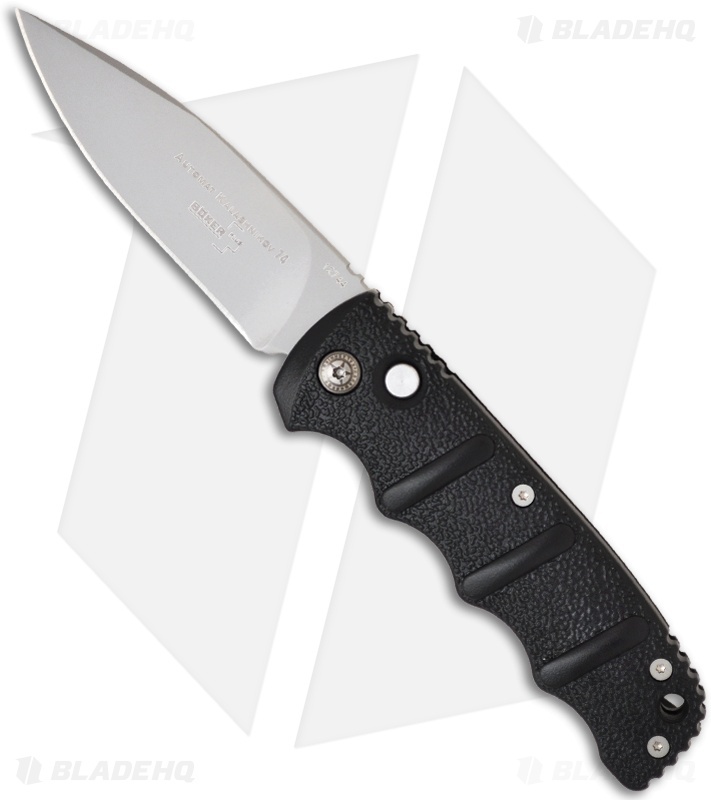 The Boker Plus Automat Kalashnikov 74 is indeed just as reliable and tough. In fact, as far as cutting goes, the bead blasted drop point blade on this knife easily out performs that of the Magnum. 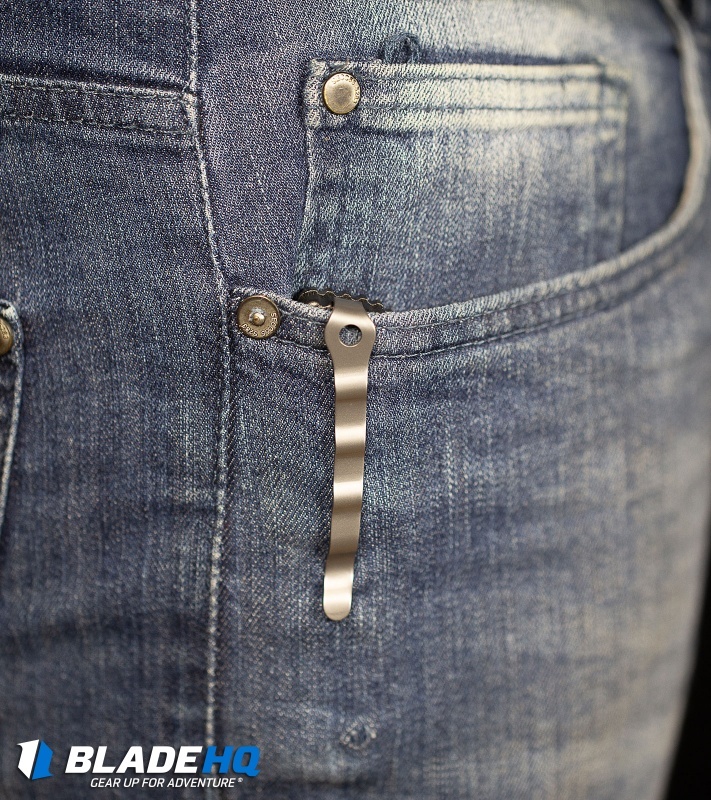 It's razor sharp edge and flat grind make cutting a breeze. 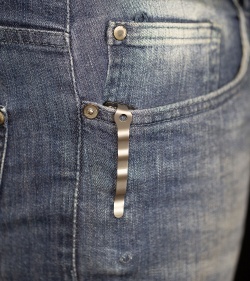 It opens fast with authority and locks up good and tight. The blade centering is spot on. There is absolutely no blade play (if there is any side to side blade play, simply tighten the pivot screw). 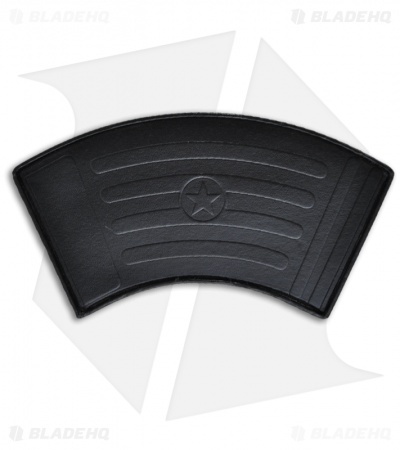 The handle is very comfortable and hasn't created any hot spots on my hands even with continual use. This knife is by far the best knife in its class and worth every penny. I expect it to be by my side for many years to come. It's a decent knife, but I expected a little more. It's an okay knife. Very snappy on the blade deployment. I will more than likely tune this to my liking. The blade wasn't as sharp as I like, but that's not a big deal since I usually sharpen all my blades to my preference anyway. I was a little disappointed with the grittiness of the push button. Hopefully, with time, it will wear in better. 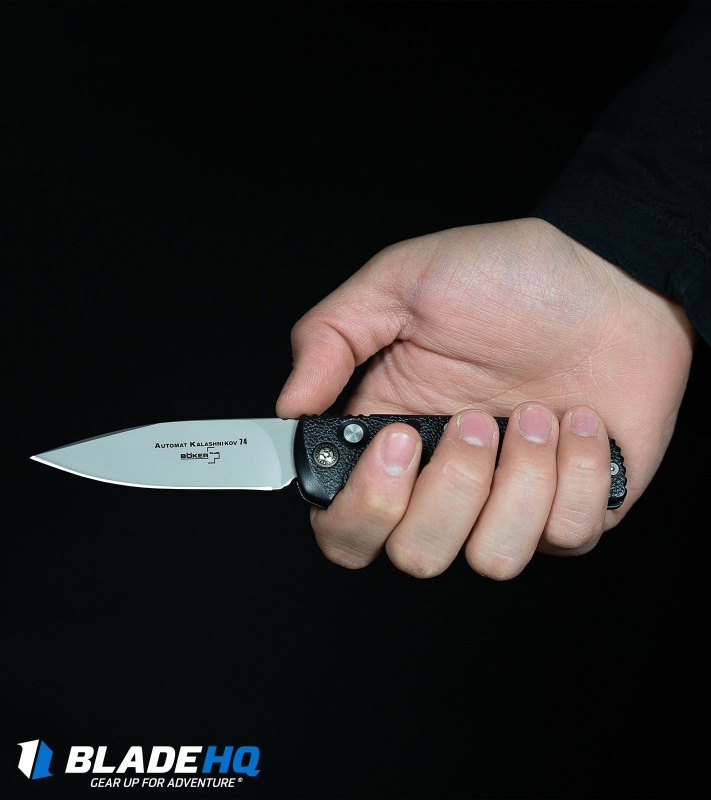 Regardless of any other less than positive reviews say about this knife, you are getting value under $40. Mine wasn’t very sharp right out of the box but it took 2-3 minutes to sharpen it to my PREFERENCE. Deployment speed is good, had to tweak the pivot screw to get my DESIRED speed. I would buy it again and is in the rotation for everyday use. I don't know exactly what I expected for 35.00, but I expected more than I received. Horizontal and vertical blade play, paint on the aluminum handles is already coming off and I've only had it a week. I like it, but I don't love it. If you are an extremely picky person (like I am) when it comes to your knives, spend a little more. I've seen better quality for less money. Everybody Should Own One of These! What an amazing knife. There is less blade play on this thing than automatics that cost 5 x as much and the blade on mine is perfectly centered! I got this because I wanted an EDC for work and I'm almost scared to use it for that purpose because it's so nice. When they go on sale next, I'll be picking up a few more. The first time I pressed the button, the knife jumped ot of my hand! Very Snappy! Blade HQ was awesome! Thanks! I have the chrome version of this knife and I like the grip and blade and it’s very sharp. But I have one of the earlier versions so the automatic is a little sluggish but I hear that the newer ones are snappier. I think they also offer a new spring kit for this one if I wanted to do that. It would probably make me like it better. I carried it as my EDC until I got my Boker Warrior Tanto tip in copper and green and then it became my EDC. Not a bad knife but I’d want to know for sure if it’s more snappy on the automatic now before I bought another one. ive had this for about a year now and i love it ! the action is super strong and quick and lock up is tight only wish the blade was upgraded to maybe D2 but hey for a sub 40.00 auto i wont complain ! Several years old and still my EDC workhorse. I have had one of these for about 10 yrs. now and it has held up exceptionally well. Love it so much that when I saw it on sale before Christmas I purchased another in case something ever happens to my original one. I have the standard size and the mini. For the money, these knives are great EDC's. Quick and solid opening action. Great deals at Blade HQ. So excited for it to get old. The first thing I noticed about this knife is its kick when you deploy it. It really surprised me, (so much so that I almost dropped it). The coolest this is that I've had it for about 4 months and it wears really cool! No damage, but the paint just kinda rubs off in a very aesthetically pleasing way. 10/10 would recommend. Been using this knife for a few months now and really like it. The push button was a little gritty at first but with some oil and use it has smoothed up nicely. I got it for $30 on sale and I don't think you can find a better auto for the money. Loved by all for good reason. Exceptional for it's price, and definitely worth it. Great EDC. My relatives enjoyed getting these knives as gifts from me. This is an excellent knife, especially for the price. It is my work knife, which actually means a lot due to the fact that I work in a chemical plant. All day this bad boy is cutting pallet strapping, cardboard, zip ties, shrink wrap, and, most importantly, getting doused in a variety of acids and caustics; and it keeps on chugging. There is no rust on it, and I don't regularly clean it. I liked this knife so much as a work knife that I bought another to have at home. The fit and finish is excellent, and it preforms for me all the time. The action was a little gritty at first, but it smoothed out after about 20-40 activations. Guys as much as I'd like to say "Please stop buying this knife" it would only be so I can get another ordered... I love it, anytime anyone needs to cut something they ask for mine so they can see it in action. As soon as they cut with it, they buy one and ask me to put an edge on it... 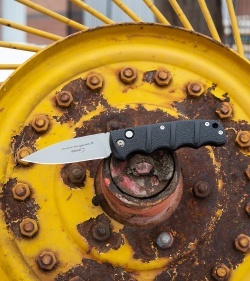 Tip if you are hard on your edge, get the S30 steel, a bit better edge retention than the AUS-8. I have both, love both, use them every day for two years now, and the action is as tight as the day I bought it... PERFECTION, 'nuff said. Great Automatic... was suggested by the Blade HQ staff... Thanks.. Bought satin dagger and 100% satisfied. This is a must have!! I got mine in and I'm %100 satisfied, razor sharp out of the box, sturdy, fires right open like it supposed to, no problems what so ever. Yes I highly recommend getting this knife, this is the full size version feels nice in the hand and I'm happy to have this knife. I say get one before they sell out or you'll be stuck for months, great for the price and worth the money, no complaints here. I bought two the dagger blade satin and this one. The speed and lock up is excellent in these. I expected a little play in the blade and was wrong. Exceptional value and solid little knife can't go wrong. Order one, you'll be pleased!! 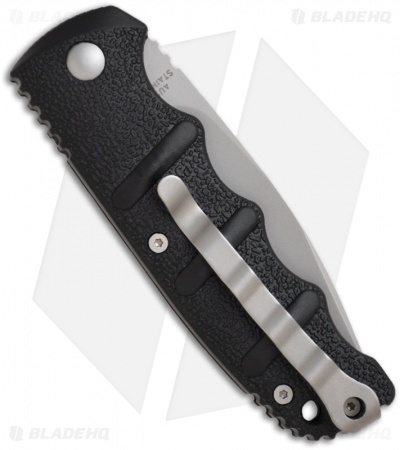 Now if they'll get boker to make a 4.125 up to 5'' blade and appropriate sized handle you'll have a solid tactical set up!! Everyone should know just how good this knife is by now. The only thing lacking in this knife is the handle, which is just a painted aluminum alloy, and is not very grippy at all, and the pocket clip is a little funky. But at this price, there isn't really much to complain about. On a side note, for some reason the spring in my kalashnikov broke in about a week. BHQ sent my two new springs completely free, but one of those two broke in a week as well. The third spring has been going strong for about 7 ish months now. Guess there was a bad batch or something, IDK. 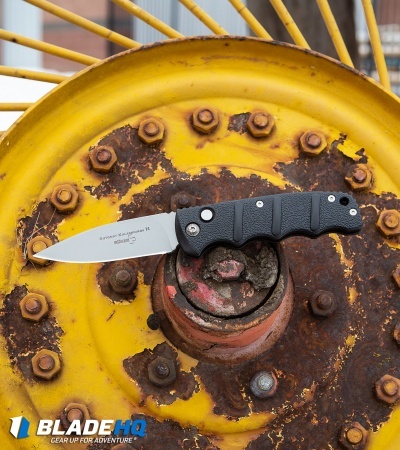 This one has grown legendary status in the knife community, for affordable autos. It, for me, has lived up to it's reputation. For the price, I just can't see a better auto knife on the market. The Aus8 steel doesn't get alot of love, but it is really easy to sharpen, and takes a very keen edge. I've had no issues with mine, and even bought the smaller version, to carry as a companion to this one. I would highly recommend this to anyone looking for a cheaper, but reliable, auto.